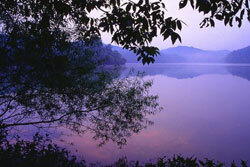 Pet Friendly Parks in and Great Hikes Near Nashville! 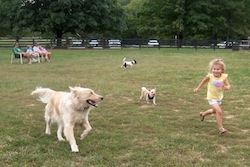 We research great places to go with your dogs!Please see our dog parks interactive map. 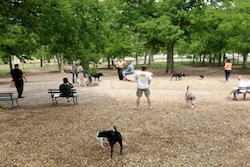 Centennial Park is one of Nashville's premiere parks, with the iconic Parthenon, a one-mile walking trail, Lake Watauga, the Centennial Art Center, historical monuments, an arts activity center, a beautiful sunken garden, a band shell, an events shelter, sand volleyball courts, dog park, and an exercise trail. Thousands of people visit the park each year to visit the museum, see exhibits, attend festivals, and just enjoy the beauty of the park. Centennial Park is also home to the Centennial Sportsplex. Parthenon - Tuesday–Saturday, 9:00 a.m.–4:30 p.m.
"Great atmosphere. Love the different gardens and water features. Gaggles and Gaggles of Geese!!! 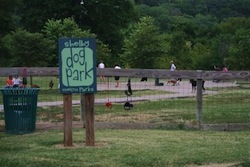 Lol"
Shelby Park is a 300 acre multi-use park, 2 miles from Downtown Nashville along the Cumberland River. The park expands to over 1200 acres to include Shelby Bottom Natural Area, featuring river views; migratory bird and other wildlife viewing opportunities; playgrounds; a fenced off-leash dog park; adult and youth ball fields; the Old Timers adult baseball fields; both 9 and 18 hole golf courses; Sevier Lake, popular for casual fishing; a Cumberland River boat launch ramp; several reservable picnic shelters; and the Shelby Park Community Center which offers free programs as well as basketball, tennis and multi-use courts. The Warner Parks are one of the largest municipally administered parks in Tennessee and together span more than 3,100 acres of forest and field, 9 miles from downtown Nashville. 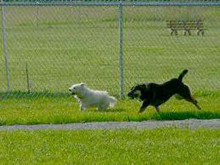 Reviews have described it as a “big open field” with lots of dog agility ramps and jumps. Be sure to bring water as there is little shade at this place. This is the shortest trail at Henry Horton. 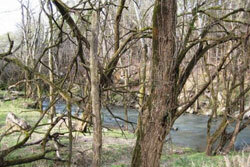 There are some really nice views of the Duck River on this trail -- definitely worth seeing. Also, there are many old artifacts of the Mill still in this area that are visible in the water. Worth checking out!! The Mossy Ridge Trail at Percy Warner is probably more commonly known as the 'red trail' by locals for the red blazes that mark this path. 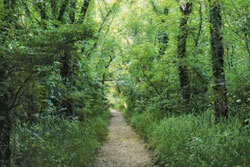 At 4.5 mile-ish, it's the longest trail in the Warner Park system and one of the busiest. The trail boasts plenty of hills, lots of variety, a water feature, a chimney, and several road and bridle path crossings. Definitely plenty to keep you busy for the time it takes to complete the trail. Beautiful ridgeline hike through the secluded woods of Beaman Park. 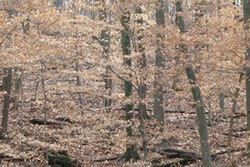 The trail begins at Beaman's higher trailhead, which basically starts at the ridgeline level. The entire trail is forested. The trail is well-signed and well-blazed. The Highland Trail intersects and briefly joins the Henry Hollow Loop. There is a brief split in the trail early on (do both sides). The gullies and dropoffs are impressive, and catching the last of the fall color in the morning light was a treat. At the turnaround point of the trail there are benches, making it a good place for a snack. The Beaman Park Nature Center is a great jump-off point with mre than 1700 acres to explore and environmental education and natural history displays, a 300 foot accessible boardwalk; grounds landscaped with native plants; and the main trailhead for five miles of hiking trails.